1) There's a delivery truck ready to cart stuff to your house! 4) And this is the clincher: MANGOES! 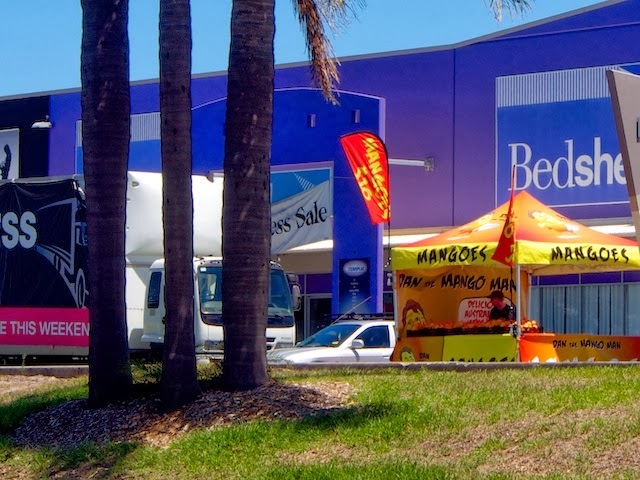 Yes, the mango stands are starting to appear, along with the illicit-looking trucks with cases in the back of them and we need no other sign. Mangoes and Christmas go together like, well, like mangoes and prawns.